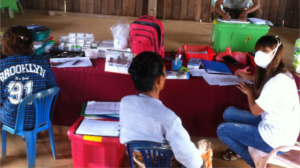 Intensified TB case-finding is done through AHRN Integrated Mobile Services covering village tracts in Hpakant Township (Guikar/Tamakhan, Lone Khin, Seng Taung and Sezin) and Waimaw Township (Mandaung, Sadone and Kanpeiktee). 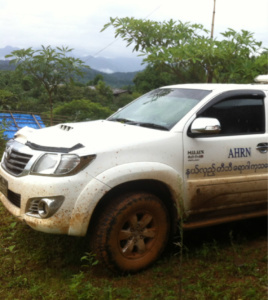 AHRN Integrated Mobile Services are mainly operational in sensitive (border) areas where drug use and mining activities are endemic. These areas also have very limited, if at all, normal health services. By using chest X-Ray with systematic screening programs in those under served (high-risk) communities, not only early but also expanded case detection can effectively be supported. Systematic screening of high risk populations and providing appropriate treatment are crucial to achieving the goal of reducing the burden of TB. The most recent WHO recommendations for Systematic Screening for active TB include Chest X-ray as a screening tool. All PWID/PWUD, their partners, household members and their communities,mine workers, slum dwellers and people living in all those proposed areas will be screened for TB signs and symptoms, Chest X-ray with digital mobile X-ray, sputum microscopy and further referral will be taken according to NTP guidelines.